Dieter Hoffmann of Harapan Rainforest knows what a reporter likes to see. “Are you interested in some fresh footprints or photos of a Sumatran tiger,” he asked. Of course I am! 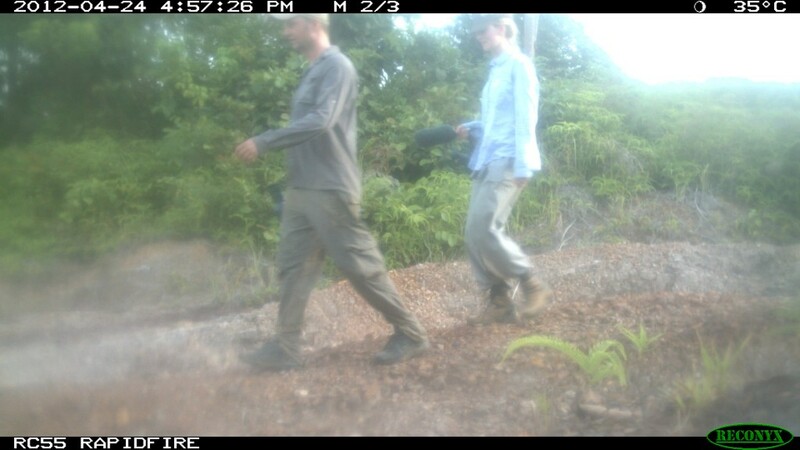 Harapan Rainforest has installed a few camera traps in the forest. Sometimes monkeys are fooling around with cameras, because they have learned that there’s something behind the lens. 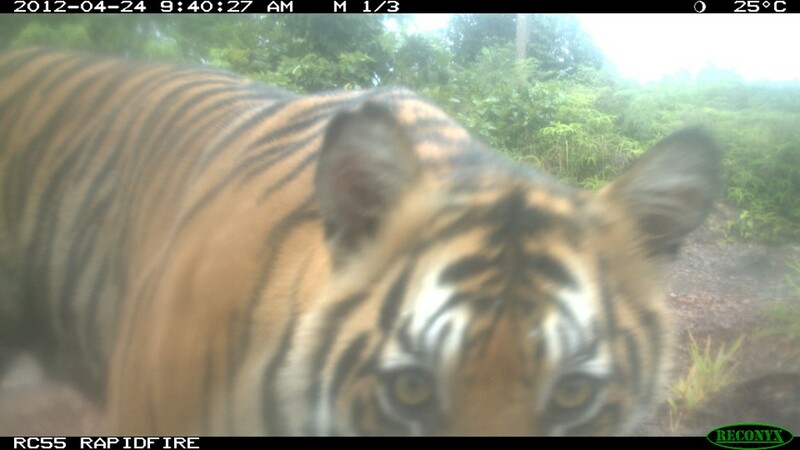 But every now and then a Sumatran tiger crosses one of these cameras and sneeks a peek. We walked to one of those cameras. And yes, there were footprints. I hardly knew what to do with my emotions. The prints were fresh, Dieter said. 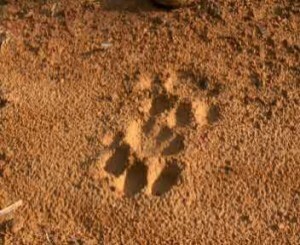 There was a tiger right here, just a few hours ago. My first thought: “Brilliant!” I’m a reporter, I’m always looking for a stunning picture. But right after that first thought my instincts came in: “Are you crazy? !” I thought. What on earth am I doing here on the favorite path of a real Tiger? That’s dangerous! I don’t want to end up in a tiger’s stomach! But Axel, my camera-man, could hardly believe his luck and headed forward into the jungle as if looking for nothing but his pet dog. To make a long story short: We didn’t meet a tiger and we are still not eaten by a tiger. But the photos of the camera trap revealed what really happend: At 9.40 in the morning a female Sumatran tiger passed the camera. We followed – in a safe distance – close to five a clock in the afternoon.